LOW Flow V6 with Brass or Stainless Steel Housing. 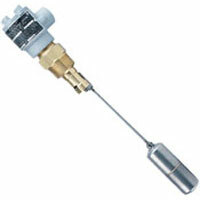 Series V6 Flotect® Flow Switch is engineered to specifically monitor liquid, gas, or airflows. Operation is simple and dependable with no mechanical linkage as the flow switch is magnetically actuated. Series V4 Flotect® flow switch (Brass Housing)operates automatically to protect equipment and pipeline systems against damage from reduction or loss of flow. The V4 is installed in thousands of pipelines and processing plants around the world. Series V4 Flotect® flow switch (Stainless Steel Housing)operates automatically to protect equipment and pipeline systems against damage from reduction or loss of flow. The V4 is installed in thousands of pipelines and processing plants around the world. Standard V6 with BRASS Housing with DPDT Switch. 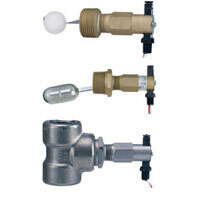 Series V6 Flotect® Flow Switch is engineered to specifically monitor liquid, gas, or airflows. Operation is simple and dependable with no mechanical linkage as the flow switch is magnetically actuated. V6 with Stainless Steel Housing sith DPDT Switch. 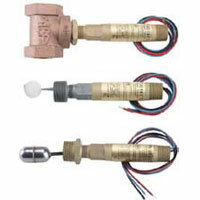 Series V6 Flotect® Flow Switch is engineered to specifically monitor liquid, gas, or airflows. Operation is simple and dependable with no mechanical linkage as the flow switch is magnetically actuated. Standard V6 with BRASS Housing, with SPDT Switch. Series V6 Flotect® Flow Switch is engineered to specifically monitor liquid, gas, or airflows. Operation is simple and dependable with no mechanical linkage as the flow switch is magnetically actuated. The Mini-Size Series L10 Flotect® Level Switches combine low cost with top quality materials and construction for great value and years of reliable liquid level control. 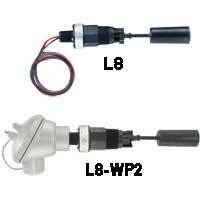 Rugged and reliable the Series L4 Flotect® Float Switch operates automatically to indicate tank level. 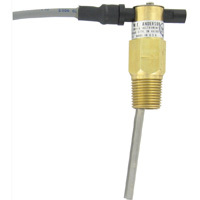 Series L8 Flotect® Liquid Level Switch features a leak proof body and float constructed from tough, durable polyphenylene sulfide which has excellent chemical resistance. Designed to provide an inexpensive, reliable unit to monitor the presence or absence of flow in a system.